The information on this page has been updated. Please visit the main directories page for the most up-to-date information. 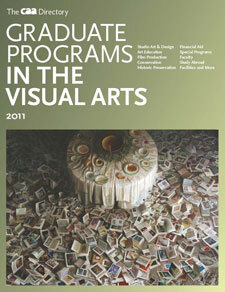 This fall CAA will publish new editions of Graduate Programs in Art History and Graduate Programs in the Visual Arts. As comprehensive resources of schools across the United States, Canada, the United Kingdom, Australia, and New Zealand, the guides list over 650 programs in fine art and design, art and architectural history, curatorial studies, arts administration, and more. Prospective graduate students will find everything they need to know before beginning the application process. The directories are also key professional references for career-services representatives, department chairs, graduate and undergraduate advisors, librarians, professional-practices educators, and professors interested in helping emerging generations of artists and scholars find success. Graduate Programs in Art History covers four disciplines: Art History, Curatorial and Museum Studies, Arts Administration, and Library Science. This directory integrates programs in visual studies and architectural history into Art History. Similarly, Graduate Programs in the Visual Arts comprises four areas: Studio Art and Design, Art Education, Film Production, and Conservation and Historic Preservation. Studio Art and Design combines programs in fine art with those in graphic, industrial, and object design. Organized alphabetically by school name within each discipline noted above, entries describe curricula, class size, faculty specializations, admission and degree requirements, library and studio facilities, opportunities for fellowships and assistantships, and more. Readers can draw important conclusions from these facts, such as the competitiveness of a program based on the amount of applications received and accepted. Need health insurance or housing while in school? Many programs provide details about what they offer. The directories are available in multiple print and digital formats, as books, ebooks, and downloadable PDFs. The complete volumes of each directory are only available in print. The complete Graduate Programs in Art History and Graduate Programs in the Visual Arts cost $41 each for CAA members and $51 for nonmembers, plus shipping and handling. The three remaining disciplines—Arts Administration, Library Science, and Conservation and Historic Preservation—are available only as ebooks and cannot be ordered as discipline-specific books. Individuals can order both directories and the discipline-specific books through the CAA website (link forthcoming). If you are ordering for a school, institution, or department within a college or university, please download the PDF form (forthcoming) and return the completed version with payment to Roberta Lawson, CAA office coordinator, who will ship the directories to you within two business days of your purchase. All entries within a particular discipline may be ordered as single ebooks. After placing your order on the CAA website, you will receive an email with a link(s) to the ebook(s). Each ebook can be downloaded a limited number of times and will be compatible with your personal computer and most smart phones and ereaders (excluding Kindles). Ebooks can only be ordered through the CAA website (link forthcoming). Individuals can search the directories by discipline, faculty specialization, country, region, state, degree type, and availability of health insurance via the CAA website and download PDFs of entries from either or both directories for $2 per entry (up to twenty entries). Upon ordering the entries, you will receive an email with a link to a single PDF containing the entries you have selected. Questions about ordering? Please contact Roberta Lawson, CAA office coordinator, at 212-392-4404. CAA’s future depends on strong leadership. For the past several years, the organization has offered members the option to vote online in the annual Board of Directors election—and the majority of you have done so. Only a few voters (1.57 percent) use paper ballots sent by mail. Thus the board determined at its February 2011 meeting that future CAA elections will only be conducted online. In November, CAA will notify you by email when it publishes the statements and biographies for the six candidates participating in the 2012–16 board election. To make sure you receive this message, log into your CAA account to add or update your email address. When the polls open in December, all members can vote by logging into their CAA account. 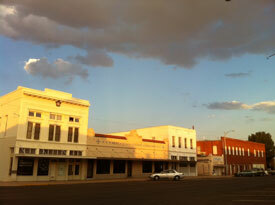 The Appraisers Association of America, a CAA affiliated society, is extending a special discount to CAA members for an upcoming study trip to Marfa, Texas. The trip will take place from Friday, October 28, to Monday, October 31, 2011. The fee is $1,400 for CAA members ($1,500 for guests and nonmembers), which includes round-trip transportation from El Paso International Airport to Marfa, travel within Marfa, all meals, hotel for three nights, and all tour and entrance fees. Marfa is home to the Chinati Foundation, a contemporary art museum based on the ideas of its founder, Donald Judd, whose intention was to preserve permanent large-scale installations by a limited number of artists and present them to the public. Also in Marfa is the Judd Foundation, founded by the artist to preserve and maintain his living and working spaces, libraries, and archives. The trip’s itinerary includes visits to both foundations and to local bookstores, cultural spaces, and galleries, including Michael Elmgreen and Ingar Dragset’s Prada Marfa. Participants will also have plenty of time to wind down and enjoy the local fare. Participants will fly to El Paso International Airport (at their own expense) and then travel to Marfa in private vans. 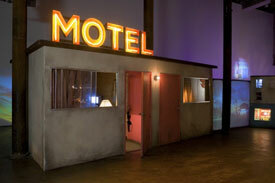 The Hotel Paisano will provide the accommodations. For complete details on the trip, please download the registration form or visit the Appraisers Association of America website. A nonrefundable deposit of $200 is due by Friday, September 23, 2011; the remaining balance is due by Monday, October 3, 2011. For the 100th Annual Conference in Los Angeles, taking place February 22–25, 2012, CAA seeks established professionals in the visual arts to volunteer as mentors for two Career Services programs: the Artists’ Portfolio Review and Career Development Mentoring. Participating as a mentor is an excellent way to serve the field and to assist the professional growth of the next generation of artists and scholars. Art historians and studio artists must be tenured; critics, museum educators, and curators must have five years’ experience. Curators and educators must be currently employed by a museum or university gallery. CAA seeks artists, critics, curators, and educators to serve in the Artists’ Portfolio Review. In this program, mentors review and provide feedback on digital images or DVDs of work by artist members in personal twenty-minute consultations. Whenever possible, CAA matches artists and mentors based on medium or discipline. Mentors provide an important service to artists, enabling them to receive professional criticism of their work. Interested candidates must be current CAA members and prepared to give five successive twenty-minute critiques in a two-hour period on one of the two days of the review: Thursday, February 23, and Friday, February 24, 2012, 8:00 AM–NOON and 1:00–5:00 PM each day. Conference registration, while encouraged, is not required to be a mentor. Please send your CV and a brief letter of interest to Lauren Stark, CAA manager of programs. Deadline: January 6, 2012. CAA seeks mentors from all areas of studio art, art history, art education, film and video, graphic design, the museum professions, and other related fields to serve in Career Development Mentoring. In this program, mentors give valuable advice to emerging and midcareer professionals, reviewing cover letters, CVs, digital images, and other pertinent job-search materials in personal twenty-minute consultations. Whenever possible, CAA matches participants and mentors based on medium or discipline. Career Development Mentoring is not intended as a screening process by institutions seeking new hires. CAA does not accept applications from individuals whose departments are conducting a faculty search in the field in which they are mentoring. Mentors should not be attending the conference as candidates for positions in the same field in which mentees may be applying. As a CAA member, you have access to a diverse range of mentors at Career Services during the 100th Annual Conference, taking place February 22–25, 2012, in Los Angeles, California. All emerging, midcareer, and even advanced art professionals can benefit from one-on-one discussions with dedicated mentors about artists’ portfolios, career-management skills, and professional strategies. You may enroll in either the Artists’ Portfolio Review or Career Development Mentoring—please choose one. Participants are chosen by a lottery of applications received by the deadline; all applicants are notified of their scheduled date and time slot by email by February 3, 2012. Both sessions are offered free of charge. Conference registration, while encouraged, is not necessary to participate. All applicants must be current CAA members. The Artists’ Portfolio Review offers CAA members the opportunity to have digital images or DVDs of their work reviewed by artists, critics, curators, and educators in personal twenty-minute consultations. Whenever possible, CAA matches artists and mentors based on medium or discipline. You may bring battery-powered laptops; wireless internet, however, is not available in the room. Sessions are filled by appointment only and are scheduled for Thursday, February 23, and Friday, February 24, 2012, 8:00 AM–NOON and 1:00–5:00 PM each day. To apply, download and complete the Career Development Enrollment Form or fill out the paper form in the 2012 Conference Information and Registration booklet, which will be mailed to all individual and institutional CAA members in October 2011. Send the completed form by email to Lauren Stark, CAA manager of programs; by fax to 212-627-2381; or by mail to: Artists’ Portfolio Review, College Art Association, 50 Broadway, 21st Floor, New York, NY 10004. Deadline extended: January 30, 2012. Artists, art historians, art educators, and museum professionals at all stages of their careers may apply for one-on-one consultations with veterans in their fields. Through personal twenty-minute consultations, Career Development Mentoring offers a unique opportunity for participants to receive candid advice on how to conduct a thorough job search; present cover letters, CVs, and digital images; and prepare for interviews. Whenever possible, CAA matches participants and mentors based on medium or discipline. Sessions are filled by appointment only and are scheduled for Thursday, February 23, and Friday, February 24, 2012, 8:00 AM–NOON and 1:00–5:00 PM each day. To apply, download and complete the Career Development Enrollment Form or fill out the paper form in the 2012 Conference Information and Registration booklet, which will be mailed to all individual and institutional CAA members in October 2011. Send the completed form by email to Lauren Stark, CAA manager of programs; by fax to 212-627-2381; or by mail to: Career Development Mentoring, College Art Association, 50 Broadway, 21st Floor, New York, NY 10004. Deadline extended: January 30, 2012. Working as a projectionist or room monitor at the 2012 Annual Conference in Los Angeles is a great way to save on conference expenses. All candidates must be US citizens or permanent US residents. CAA encourages students and emerging professionals—especially those in southern California—to apply for service. CAA seeks applications for projectionists for conference program sessions. Successful applicants are paid $10 per hour and receive complimentary conference registration. Projectionists are required to work a minimum of four 2½-hour program sessions, from Wednesday, February 22 to Saturday, February 25, and attend a training meeting on Wednesday morning at 7:30 AM. Projectionists must be familiar with digital projectors. Please send a brief letter of interest to Lauren Stark, CAA manager of programs. Deadline: January 6, 2012. CAA needs room monitors for two Career Services mentoring programs (the Artists’ Portfolio Review and Career Development Mentoring), several offsite sessions, and other conference events, to be held from Wednesday, February 22 to Saturday, February 25. Successful candidates are paid $10 per hour and receive complimentary conference registration. Room monitors are required to work a minimum of eight hours, checking in participants and facilitating the work of the mentors. Please send a brief letter of interest to Lauren Stark, CAA manager of programs. Deadline: January 6, 2012. Describing her work, the American artist Tracey Snelling has said that she creates new realities that change with her audience’s perception. She gives her impression of a place, its people and their experience, and allows the viewer to extrapolate his or her own meaning. “Woman on the Run,” an installation previously mounted at 21c Museum in Louisville, Kentucky, combines video, photography, and sculpture to tell the story of a mysterious woman sought for questioning in a murder. 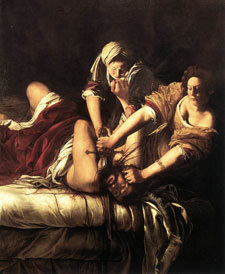 Organized by Roberto Contini, curator of late Italian and Spanish paintings at the Gemäldegalerie in Berlin, Germany, this exhibition is the first solo survey in Italy of works by Artemisia Gentileschi. Story of a Passion comprises the majority of her oeuvre arranged chronologically in an installation designed by Emma Dante, an internationally renowned Italian director and playwright. Weils, a contemporary art center in Brussels, Belgium, will show the work of the late Polish sculptor Alina Szapocznikow (1926–1973). For Sculpture Undone: 1955–1972, Elena Filipovic and Joanna Mytkowska has organized a survey of this long-overlooked, Surrealist-inspired artist whose work addressing the female body has become increasingly influential to young feminist artists in the twenty-first century. 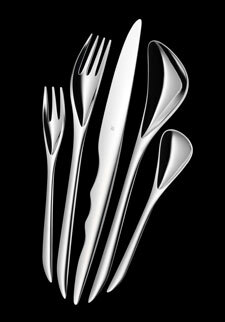 The architect Zaha Hadid has designed buildings, interiors, and furniture. Organized by Kathryn Bloom Hiesinger, curator of European decorative arts after 1700 at the Philadelphia Museum of Art, Zaha Hadid: Form in Motion is the first presentation in the United States devoted to her furniture, objects, and footwear. The exhibition is also mounted in a setting that she designed. This exhibition explores the role of British women artists of African and Asian descent. Inspired by a series of thought-provoking shows curated by the artist Lubaina Himid in the 1980s, Thin Black Line(s) returns to many artists and works seen back then in order to revisit their place in current debates in contemporary art in the United Kingdom in the decades since. The fifteenth biennial symposium of the American Council for Southern Asian Art (ACSAA) will take place at the University of Minnesota in Minneapolis from September 22 to 25, 2011. The engaging event will feature speakers presenting a wide range of papers on historical and contemporary art from South Asia, Southeast Asia, and the Himalayan region. Please direct any questions about the symposium to Rick Asher at the University of Minnesota. You may download a PDF of the full program, registration, and related information. 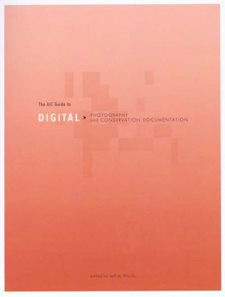 The American Institute for Conservation of Historic and Artistic Works (AIC) has published a second edition of The AIC Guide to Digital Photography and Conservation Documentation. The text has been updated since its first publication in 2008 to include recommendations for Adobe Photoshop Lightroom and an expanded chapter on storage and backup of electronic records. The second edition is also fully illustrated with over 120 color plates, including detailed screenshot instructions for Adobe Photoshop and Adobe Lightroom. This remarkable resource, nearly doubled in size, is available online for $60 (AIC members) and $75 (nonmembers). The new website of Art Historians Interested in Pedagogy and Technology (AHPT), launched in August 2011, allows members to share and use technological resources for education in the visual arts. Projects, publications, and conference information are also available. New members may join via PayPal in order to access this abundance of resources and to contribute to the expanding conversation about technology in the classroom. AHPT will participate in the upcoming Southeastern College Art Conference (SECAC), taking place November 9–12, 2011, at the Savannah College of Art and Design in Georgia. AHPT’s session, called “Reflections on Where We Are and Where We Are Going with Technology in the Art History Classroom,” will consider integrating technologies into established lecture courses and online teaching, fostering pedagogical change in departments and institutions, and negotiating curricular needs with administrators. The panel, chaired by Marjorie Och of the University of Mary Washington, will include presentations by Fran Altvater of Hillyer College at the University of Hartford in Connecticut; Janice Robertson of Pratt Institute in Brooklyn, New York; and Saul Zalesch of Louisiana Tech University in Ruston. This session marks the inauguration of AHPT’s affiliation with SECAC. The Association for Modern and Contemporary Art of the Arab World, Iran, and Turkey (AMCA) held its first international conference, “Modern Arab Art: Objects, Histories, and Methodologies,” in Doha, Qatar, on December 16–17, 2010. Emerging and established scholars shared research, methodologies, and thoughts on the future of the field. In addition, AMCA joined Mathaf: Arab Museum of Modern Art in celebrating the institution’s subsequent opening on December 30. AMCA mourns the passing of its dear friend and esteemed colleague, Rhonda Saad. In her memory, the organization has established the Rhonda Saad Prize for Best Graduate Paper in Modern Arab Art. Submissions must be produced between June 2010 and October 2011 and may not exceed thirty-five pages, excluding notes and bibliography. They also must be unpublished and sent via email. AMCA will award $500 to the author of the winning paper at the annual meeting of the Middle East Studies Association in December 2011. The prize is sponsored by donations from generous individuals. Deadline: October 1, 2011. At its recent annual conference, held on May 23, 2011, the Association of Academic Museums and Galleries (AAMG) elected new officers to its board. Jill Hartz, executive director of the Jordan Schnitzer Museum of Art at the University of Oregon in Eugene, was elected president for a three-year term. Hartz succeeds David Alan Robertson, the Ellen Philips Katz Director of the Mary and Leigh Block Art Museum at Northwestern University in Evanston, Illinois. The new vice president of strategic planning is Brent Tharp, director of the Georgia Southern University Museum in Statesboro. Kris Anderson, director of the Jacob Lawrence Gallery at the University of Washington in Seattle, has become vice president of communications, and taking over as treasurer is Michiko Okaya, director of art galleries and curator of the College Art Collection at Lafayette College’s Williams Center for the Arts in Easton, Pennsylvania. The new secretary is Lynn Marsden-Atlass, director of the Arthur Ross Gallery at the University of Pennsylvania in Philadelphia. AAMG summons new papers from members for its next annual conference, to be held on April 28, 2012, at the the University of Minnesota’s Frederick R. Weisman Art Museum in Minneapolis. Papers should refer to the conference topic, “Tools of Engagement: Securing Commitment on Campus.” Deadline: September 15, 2011. In order to sustain its commitment to scholarship, AHAA has inaugurated an option for lifetime membership. Dues are $750, of which $730 is tax deductible. The second AHAA symposium will be held in Boston, Massachusetts, on October 12–13, 2012. Details about the symposium will be coming soon. The Historians of Islamic Art Association (HIAA) has launched a new and improved website that features benefits for HIAA members as well as public resources for the study of Islamic art and culture. Please consult the Events & Exhibitions section for more information on upcoming HIAA programs at the CAA Annual Conference, the Middle East Studies Association’s annual meeting, and the American Oriental Society’s annual meeting. The Historians of Netherlandish Art (HNA) has published a new issue of its open-access, peer-reviewed Journal of Historians of Netherlandish Art. Appearing twice a year, the journal examines Netherlandish art produced during the early modern period (1400–1750) and other work as it relates to Netherlandish art. The new issue comprises four articles: Els Stronks’s “Never to Coincide: The Identities of Dutch Protestants and Dutch Catholics in Religious Emblematics,” expanding on discrepancies between Protestant and Catholic literary practices and identity in the seventeenth-century Dutch Republic; Michael Zell’s “Rembrandt’s Gifts: A Case Study of Actor-Network-Theory,” discerning the relevance of said social theor to the artist’s dealings with his patrons and collectors; Virginie Spenlé’s “‘Savagery’ and ‘Civilization’: Dutch Brazil in the Kunst- and Wunderkammer,” focusing on the collection of exotic objects such as the notorious coconut cup and the shifts in status of such objects; and Renée Kistemaker’s “Between Local Pride and National Ambition: The ‘Amsterdam Museum’ of the Royal Dutch Antiquarian Society and the New Rijksmuseum,” discussing the tension between the national and international aims of the new Rijksmuseum. The United States chapter of the International Association of Art Critics (AICA-USA) has appointed two new board members—Jill Connor and João Ribas—by a unanimous vote at its recent annual meeting, held on May 23, 2011. Both will serve the organization through May 2012. Connor is the New York editor of Whitehot Magazine, editor of On-Verge, and a contributor to AfterImage, ArtUS, Art in America, Interview, PAJ: A Journal of Performance and Art, and Sculpture. Ribas, a curator at the List Visual Arts Center at the Massachusetts Institute of Technology in Cambridge, previously held the same title at the Drawing Center in New York. His writing has appeared in numerous art and culture publications. The International Association of Word and Image Studies (IAWIS/AIERTI) has published a bilingual volume containing papers from the eighth International Conference of Word and Image, held at the Institut National d’Histoire de l’Art in Paris in 2008. 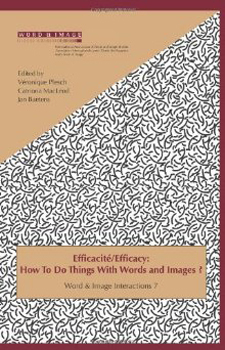 Edited by Véronique Plesch, Catriona MacLeod, and Jan Baetens, Efficacité/Efficacy: How to Do Things with Words and Images (Amsterdam: Rodopi, 2011) focuses on three central inquiries: What do we do with texts and images? How do texts and images become active cultural agents? What do texts and images help us do? The book’s contributions, culled from specialists in the field, cover a wide range of topics, from visual poetry and garden theory to new media art and ekphrasis. The publication aims to offer a broad survey of interactions among language, imagery, anthropology, memory, and writing, presenting a cutting-edge analysis of the study of word and image. The International Sculpture Center (ISC) is accepting nominations for the 2011 Outstanding Educator Award, which recognizes individual artist educators who have excelled at teaching sculpture in institutions of higher learning. Candidates for this award should be masters of sculptural processes and techniques who have devoted their careers to the education of the next generation and to the advancement of the field as a whole. Anyone can nominate a qualified educator; international submissions are welcomed and encouraged. Recipients receive a feature article in Sculpture, a lifetime ISC professional-level membership, and recognition at an award ceremony to be held at their educational institution (which also receives benefits, such as acknowledgement in Sculpture and a one-year ISC university-level membership). Deadline: October 21, 2011. IAS provides travel grants to graduate students and recent PhD recipients presenting papers at the annual meetings of the Renaissance Society of America, the Sixteenth Century Society and Conference, the Society of Architectural Historians, the International Congress on Medieval Studies, and the College Art Association. Submissions need not be presented at IAS-sponsored sessions but must consider the art or architecture of Italy. International submissions are encouraged. Deadline: November 1, 2011. The IAS newsletter, published quarterly and sent to all members via email, is accepting exhibition reviews, short articles, and announcements related to Italian art and architecture. Please contact Kay Arthur, the newsletter editor, with any questions or to send submissions. Deadline: September 15, 2011. The San Francisco–based Leonardo/International Society for the Arts, Sciences and Technology (Leonardo/ISAST) has appointed Jeffrey N. Babcock as interim executive director. A current member and former chairman of the organization’s board, Babcock has over thirty years of experience as a senior nonprofit arts and academic executive, consultant, event and media producer, and entrepreneur. He aims to diversify the goals of Leonardo/ISAST and to expand the reach of ArtScience. Paul Thomas, associate professor in the College of Fine Art at the University of New South Wales in Australia, will moderate a Leonardo Education and Art Forum (LEAF) workshop in collaboration with the Australian Forum at this year’s International Symposium on Electronic Art (ISEA2011) in Istanbul, Turkey. The workshop, entitled “Trans-disciplinary Visual Arts, Science, and Technology Renewal Post New Media Assimilation” and sponsored by the National Institute for Experimental Arts, will address issues encountered in fusing curricula across diverse fields and developing transdisciplinary research and teaching for research and teaching. The next International Symposium on Electronic Art (ISEA2012), entitled “Machine Wilderness: Re-envisioning Art, Technology, and Nature” and taking place September 19–24, 2012, in Albuquerque, New Mexico, is accepting proposals for papers, workshops, and panels for the formal symposium. Interested parties may also submit suggestions for residencies, artworks, and performances to take place in Albuquerque throughout fall 2012 in conjunction with the event. Deadline: October 15, 2011. 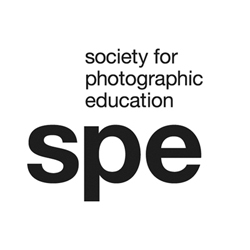 The Society for Photographic Education (SPE) offers student scholarships to offset the cost of attending the 2012 national conference, “Intimacy and Voyeurism: the Public/Private Divide in Photography,” to be held March 22–25, 2012, in San Francisco. Applicants must be SPE student members currently enrolled as full-time undergraduate or graduate students at a postsecondary institution, concentrating or majoring in photography but not graduating before the end of the 2011–12 academic year. In addition to a cash award, SPE will waive the conference fee and provide a one-year membership. Ten SPE Awards and one SPE Award for Innovations in Imaging will each feature a $500 travel stipend. The Freestyle Crystal Apple Award for Outstanding Achievement in Black and White Photography, generously sponsored by Freestyle Photographic Supplies, includes a $5,000 cash prize and recognition for the sponsoring faculty member. Deadline: November 1, 2011. The Visual Resources Association (VRA) has recently posted Cataloging Cultural Objects: A Guide to Describing Cultural Works and Their Images, originally published in 2006, on its website. The public may read the document online or download it as PDFs. Written and organized by Murtha Baca, Patricia Harpring, Elisa Lanzi, Linda McRae, and Ann Whiteside, Cataloging Cultural Objects establishes a metadata standard for the cultural-heritage community. A related online resource, CCO Commons, provides examples and training tools for practical application of the standard, defines key concepts, and offers a toolkit for users. CCO Commons aims to shape and manage information for images of art and architecture, allow increased access to collections, and educate art administrators on best cataloguing practices for museums, libraries, and archives. The Women’s Caucus for Art (WCA) has announced five recipients of its 2012 Lifetime Achievement Award: Whitney Chadwick, professor emerita of San Francisco State University in California; Suzanne Lacy, artist and chair of fine arts at Otis College of Art and Design in Los Angeles; Trinh T. Minh-ha, a filmmaker, composer, author, and professor at the University of California, Berkeley; Ferris Olin, curator, librarian, and professor at Rutgers University in New Brunswick, New Jersey; and Bernice Steinbaum, a gallerist and advocate for female artists. In addition, WCA will present its President’s Award for Art and Activism to two women: Cathy Salser, founder of A Window Between Worlds, a national public-art program initiated in 1991 that provides positivity and art therapy to battered women and children; and Karen Davalos, an accomplished author who is also chair and associate professor of Chicana/o studies at Loyola Marymount University in Los Angeles. The awards ceremony will be held in Los Angeles on February 25, 2012, in conjunction with the organization’s fortieth anniversary celebration and conference, also syncing with the CAA’s 100th Annual Conference. The awards ceremony, free and open to the public, transpires from 6:00 to 7:30 PM in the ballroom of the Kyoto Grand Hotel and Gardens, 120 South Los Angeles Street. A ticketed gala, called “Momentum” and taking place 8:00–11:00 PM, follows the ceremony. Gala plans are still being finalized. The CWA Picks for September 2011 include an academic conference hosted by Purdue University in Indiana that addresses tenure issues for women professors. The picks also highlight several exhibitions of historical and contemporary art on view in the United States and abroad. In Nashville, the Frist Center for the Visual Arts presents Travey Snelling’s “Woman on the Run,” and the Philadelphia Museum of Art will soon open the much-anticipated Zaha Hadid: Form in Motion, which looks at the architect’s furniture, objects, and footwear. In Europe, the Palazzo Reale in Milan is staging Artemisia Gentileschi: Story of a Passion, the Baroque painter’s first-ever survey in Italy. Up north in Brussels, a contemporary art center is showing work by the twentieth-century Polish sculptor Alina Szapocznikow, and Tate Britain in London is presenting a unique group exhibition called Thin Black Line(s). The following article originally appeared in the November 2001 issue of CAA News. Ned Kaufman is a consultant specializing in cultural heritage, historical preservation, and public history. He also teaches at Pratt Institute in Brooklyn. Kaufman lives and works in Yonkers, New York. A neighbor of mine said, simply, “I miss them.” If the architecture critic Paul Goldberger missed them, he wasn’t admitting it: “gargantuan and banal, blandness blown up to a gigantic size” was the epitaph he carved into the New Yorker’s tombstone for the World Trade Center (WTC) in the magazine’s September 24, 2001, issue. How different are both assessments from the hopeful words of Minoru Yamasaki, the WTC’s principal architect, who didn’t live long enough to miss it. Writing at the time the Port Authority of New York and New Jersey commissioned him to design the complex, he explained that he sought “a beautiful solution of form and silhouette which fits well into Lower Manhattan,” while giving it “the symbolic importance which it deserves and must have.” He saw that the sheer size of the Port Authority’s commission—ten million square feet of office space set on twelve city blocks—set a double challenge. On the one hand, he would have to “scale it to the human being,” to make it “inviting, friendly, and humane.” On the other hand, the WTC wasn’t just a cluster of buildings: “To be symbolic of its great purpose, of the working together in trade of the Nations of the World, it should have a sense of dignity and pride, and still stand for the humanity and democratic purposes in which we in the United States believe.” The WTC has left a confusing legacy, and if, as Goldberger predicts, “architectural criticism of it will cease altogether,” then we will never get to the bottom of it. But I suspect that its legacy lies somewhere in the territory encircled by these three points of view. It’s always been hard to pin down the WTC’s significance. One reason is that one’s experience of the street-level plaza and the towers always seemed so different. The plaza was never successful—it was bleak—and when the Port Authority started piping in canned music, the fake cheeriness seemed only to underline its sadness. The failure wasn’t entirely the architect’s. Yamasaki had assumed that the plaza would be lined with restaurants; it wasn’t. Then, the Vista Hotel (built later) claustrophobically slammed shut the view out the southwest corner to the Hudson River, and the bridge to the World Financial Center cramped the northwest corner. But the plaza was bad from the start, indeed from before the start. The assumption (which Yamasaki accepted) that the Port Authority’s twelve-block parcel was not merely a site but a precinct—a giant podium to be lifted off the earth and endowed with a special character distinct from its surroundings—outlined an urban-design challenge that would have been difficult, if not impossible, for any architect in the 1960s to meet gracefully. It played to modernism’s weakest suit. Actually, the question of whether or not the WTC was modernist is not so easily answered. Those who didn’t like the buildings, or didn’t like modernism, used their critique of one to damn the other. But in 1962, as Yamasaki began work on the WTC, the New York Times’s architecture critic, Ada Louise Huxtable, wrote that this architecture was “shattering” the tradition of modernism, opposing its stripped-down, functionalist manner with an “ornamental style and a conscious historicism” that were “deliberately decorative, and among professionals, highly controversial.” Around the plaza, at any rate, the failures were those of modernism—failures of modernist planning, based on a poor understanding of how people use and animate open spaces; and of modernist architecture, of buildings conceived to float in space, rather than decisively to shape it, of a brittle formal language of metal and glass that seemed averse to hold a corner, and of walls reluctant to meet the ground. Even the towers didn’t meet the ground well. Part of the problem was that it was very hard to say where the ground was. If the towers didn’t seem to stand firmly on the plaza, if from some angles they seemed rather to be inserted through it, that may have been because the plaza didn’t stand firmly on the ground either. It was not floor but roof—the roof of a spreading, formless underground world of numbered levels, parking garages, shopping concourses, plunging escalators, and train platforms. The towers were rooted deep in this basement world. If you looked up at the towers from the plaza you got a stiff neck. It was a little like looking up at the stage from the first row of the orchestra, where the actors loom above you. In this case, however, the actors were giants and were playing to the back of a house that was the entire New York harbor and indeed the entire region. From up close, at any rate, you could appreciate some of the design decisions that made the towers work from a distance. And these were not the routine moves of modernism. My own reaction to the vaguely Venetian arcades on which the towers stood changed as I grew to know the buildings better, and as they and I aged. Whereas at first they had seemed insipid, unconvincing, I came to find them graceful and oddly delicate. The towers were clad in a metal that, rare among modern buildings, was truly beautiful: it was a special aluminum alloy that Alcoa had developed for Yamasaki, and the impossibly tall colonettes, flowing up out of the arcades to the very tops of the buildings, flashed silver in a way that was somehow soft and unmetallic. These piers contained the innovative structural system that has garnered such public attention in the wake of the WTC’s destruction: they placed most of the towers’ support around their perimeter, rather than spaced throughout the buildings in an even grid. With these piers, in fact, Yamasaki rewrote not only the structural but also the expressive rules of the steel frame. They were eighteen inches wide and projected a full foot in front of the windows, which were only four inches wider than the piers. The effect was quite different from that of the standard modernist “glass box.” Seen from even a moderate angle, the glass disappeared behind the piers, while from a distance the spaces closed up, so that the towers appeared almost solid. Not solid like stone, but almost solid. It was an unusual and beautiful effect. Yamasaki was one of a few architects, including Philip Johnson and Edward Durrell Stone, who in the 1960s were departing from the modernist orthodoxy of the curtain wall to create walls of visual weight and real substance. The WTC may have been subtler than many contemporary experiments, which often ran to slabs of stone or crude piles of oversized brick. What it undubitably had was scale. You could see the towers from across the Hudson River in Jersey City, from the harbor, from high places in the Bronx and Westchester County, from the Jersey Meadowlands, from the train tracks somewhere around New Brunswick, and from the far edges of Brooklyn and Queens. Beyond a certain distance, the treatment of the skin probably didn’t matter much; it was the towers’ sheer height, and of course their famous twinness, that projected them across the distant landscape. But from the middle distance, the combination of size, shape, proportion, and surface achieved a remarkable transformation. During two years of living close to the Hudson River in Jersey City, I got to know the towers pretty well, in all of their moods. When crossing the river by ferry or bridge in the morning one slipped into the huge shadows they cast across the water and through the blaze of sun that sprang between them. Late in a spring evening the glow of sunset seemed to rest in them long after the water had become black and the rest of the city resolved into points of light. To the sailor out in the harbor, the towers, one occulting the other, registered an endlessly fascinating play of light and weather. A simple detail—the chamfered corners and roof lines—meant a great deal from this perspective. The corners became strips of light stretching more than a quarter-mile into the sky. And whether you were close enough to perceive the individual floors or far enough away so that the faces of the buildings flattened in the atmospheric haze, the chamfers forced you to accept the towers three-dimensionally, as huge objects. “Sculptural” is the word art historians might choose to describe this effect. Of course the disposition of the two towers, not lined up face-to-face but angled corner-to-corner, was very much a sculptural move. The key, however, was scale. The towers were so big and projected their bigness with such profound simplicity that they seemed to exist in the realm of sky and wind, rather than that of architecture. New York’s harbor is a vast area, filled with air and light and the reflections of moving water, overarched by an immense sky. The towers, sited on the promontory of lower Manhattan, registered the moods of light and weather in a way that only things of great size and immeasurable scale can do—things that are there with a bigness too big to grasp. When you looked at the towers you saw not just buildings but the imprint of the place itself, the sky coming down to earth, the impress of sun, sea, and wind sweeping across a continent. A shadow cast by one of the towers was not just bigger, but qualitatively different from those of ordinary buildings—it didn’t belong to architecture at all; it was a phenomenon of nature. The Washington Monument (another large prismatic object rising into a bowl of sky) offers a similar experience. So does, under certain circumstances, the dome of St. Peter’s in Rome. I can’t think of another building that creates this feeling, certainly not in New York. That quality is what I will miss above all else about the towers. Many people will, of course, miss them just because … they miss them. A lot of memories are attached to the WTC. I don’t mean those that settled there on September 11. Nor those of the people who worked there every day; those memories are vast and complex. I mean the memories of people who visited or looked at the WTC because it was something special. I doubt if many of these memories are attached to the plaza. Again, it was the towers that really worked. In addition to extreme height, they were equipped with memory generators. One was the observation deck. Actually, the views were somewhat disappointing. You were kept well away from the edge, so that you couldn’t look straight down and see the absurdly tiny cars and people and savor the inverted perspective of buildings impossibly tapering toward their bases. As you looked out, the deck seemed almost too high. But going there was an experience, and was most likely shared with friends, a parent, or a child. A Colorado parent remembers her visits there: “Seated before the touchingly beautiful view of the harbor in the evening, we would talk over the day’s events with the daughter who knew her way around. It was there we learned Katy was in love. It was there, after the graduation ceremony, that we saluted her PhD.” Though Katy’s mother found it “odd” to say that she’d “lost a personal, public landmark,” it wasn’t odd at all. It was in the nature of the place. Probably many of the deck’s visitors now regret losing a personal spot—“I can’t go back there anymore.” Windows on the World, the famous 107th-floor restaurant, was another memory generator. The food, as people used to say, was better than it needed to be, because the place itself was the draw. It was not ordinary, certainly not the sort of restaurant you went to just because you were hungry. Most went there, I think, to create a special experience—a memorable experience—with friends or family. Those who had the good fortune to dine there acquired an intimately personal stake in a skyline that could seem profoundly indifferent. New York’s skyline has been rearranged many, many times, but usually it has been yanked upward. Even when quite large buildings have come down, it was done in order to put up even bigger ones. So the towers’ sudden disappearance is unprecedented and confronts us with a question we were not prepared to think about: What is the next stage of lower Manhattan’s skyline? Is this the end of grand development? Or is this a prelude to something yet unimagined? As we look for that now-shifting, hard-to-locate place in the sky where the towers used to be, it’s helpful to remember that their contribution to the skyline was not always or universally admired. When they were new, many people felt that the Twin Towers dwarfed the older skyline to the north and east; they were isolated and, with their feet practically in the river, seemed to unbalance the entire island. If by last September we no longer felt that way, it may have been in part because we had gotten used to the effect, but also because the skyline had adjusted to the towers. To the west, Battery Park City and the World Financial Center were built on landfill scraped out of the WTC’s foundations; large as they are, they furnished (in the phrase of the World Financial Center’s designer, Cesar Pelli) foothills to the WTC’s mountain range. To the south and toward the East River, the slender towers of the old skyline had been gradually hidden behind a ring of big, boxy buildings—neither “tower” nor “skyscraper” adequately registers their utter stolidity. Now the WTC is gone, but the adjustments are still there—most unhappily so. The World Financial Center seems unfocused and weak, while the “boxes” around the other side of the financial district are just plain ugly. They hide the slender spires of the neighborhood as completely as ever, but now without the redeeming lift of Trade Center 1 and 2. What is to be done? That, of course, is the question everyone is asking. Proposals for the site have already been floated. Presented for the most part in sound bites, they have, not surprisingly, been one-liners: new office buildings, a replica of the towers, a peace park, ruins, a monument with names of the lost. It’s clear that the site could be redeveloped as office space. Or it could be designed as a memorial. What seems less clear is whether any one of these could ever fulfill both its commercial and its mnemonic potential. Can a functioning part of the city be successfully freighted with the burden of memory, sorrow, and national resolve that people want from the site? As if that weren’t challenge enough, a more difficult question has emerged: How to get beyond the purely personal dimensions of the tragedy of September 11—the sad, agonizing, pathetic, heartbreaking stories that have filled the papers for weeks, piling up into a mound as high and more unscalable than the towers themselves. I do not mean to suggest that we should ignore the individual tragedies, but rather that we must also account for the larger significance to the community of what took place that day, and what is still to come. Community is more than sentiments of empathy for the bereaved, more than neighbors holding hands. September 11 was more, and different, than the sum of five or six or seven thousand individual tragedies. And the WTC was more than a place where people worked, ate, and died. Or was it? What did the towers stand for, anyway? Since their destruction, we’ve heard often enough that they stood for capitalism, free enterprise, business, or, perhaps, what their designer called “the humanity and democratic purposes in which we in the United States believe.” But the complex’s purposes were more specific. First, of course, it was intended to salvage the real-estate investments of some very influential people. More grandly, in Yamasaki’s words, it was meant to serve and symbolize “the working together in trade of the Nations of the World.” That, after all, is why it was called the World Trade Center. I wonder if its destroyers heard and understood the literal meaning of these words, which we New Yorkers had long ago demoted to a mere sound—Wurltraydsen’r. Had the complex become, unbeknownst to us, a symbol not merely of world trade but of free trade, of the globalism of Seattle and Genoa? Its destroyers, at any rate, seem to have remembered something else that we New Yorkers had largely forgotten. The WTC was not an expression of free enterprise: It was built by Big Government, was roundly criticized for that, and in market terms could not have been called a good investment. It was never, in this sense, practical, and its ideology was not that of the free market. In symbol and substance, it was government projecting a design. That has been easy to forget during these past thirty years of contempt for government and of fawning praise for market capitalism. But in its destruction the WTC put government back at the center of our consciousness: it is to government that injured people and businesses have reflexively turned for help—each level of government looking expectantly to the next—and it is government at the highest level that is now redesigning lives and deaths through decisions that affect us at every level—military deployments, homeland security, and much more. Symbols are important. They can get us killed. But they are also, in some sense, imaginary, made up by us. For most people who worked in or visited them, the towers were probably never symbols of anything in particular. When they came down on September 11, then they became symbols. But when, a week later, my neighbor said, “I miss them,” she meant the buildings, not the symbols. I miss them too. The quotation from Paul Goldberger is taken from the New Yorker, September 24, 2001; those from Minoru Yamasaki and Ada Louise Huxtable are from Anthony Robins’s The World Trade Center (Englewood, FL: Pineapple Press, 1987) and that from Katy’s mother, Marion Stewart, is from High Country News, September 24, 2001.